Sciatica can result in debilitating pain that springs from an irritation of the sciatic nerve. Because this nerve is so large, symptoms can vary based on the location of the pressure. For example, one person may experience pain and numbness in the hip area while another may suffer a pins and needles feeling down one entire leg. Oftentimes, medical professionals prescribe pain medication and just encourage patients to wait out the discomfort. However, if the underlying issue is not corrected, it is likely that sciatic pain will flare up again. 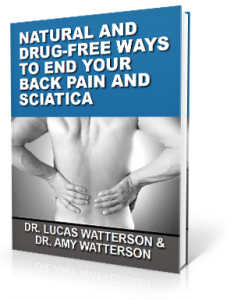 Here are a few natural remedies for sciatica that are drug-free. We’re going to focus on 3 options for natural relief of sciatica. Ice – Inflammation can put pressure on the sciatic nerve. Ice helps to reduce swelling and may, therefore, relieve some of the pain. While this does not resolve the underlying problem, it can provide temporary relief without pills or side effects. Acupuncture – Many patients have been able to get some relief using this ancient Eastern medical technique. However, some squirm at the idea of having a bunch of tiny needles shoved under their skin. Also, insurance doesn’t always cover an alternative therapy like this. Therefore, many seek other options. Chiropractic – Numerous studies back up the benefits of chiropractic for sciatica, even over other physical techniques such as physical therapy. However, you may be reluctant to have your hips or back twisted or jolted in an effort to realign the spine. If that is the case for you, then I would like to introduce you to a far gentler technique. Using a low force correct that does not involve “popping” or “cracking,” upper cervical chiropractic restores neck alignment gently. This, in turn, brings the rest of the spine into proper alignment. It is a long-lasting adjustment, and because it gets to the root problem area, pain is often relieved on a more long-term basis than just adjusting the part of the back where symptoms appear. That also means fewer visits and less expense. If you are looking for drug-free sciatica help, upper cervical chiropractic is a cost-effective solution. 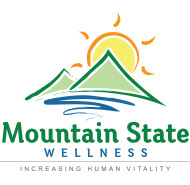 To schedule a complimentary consultation with Dr. Lucas Watterson or Dr. Amy Watterson call our Morgantown office at 304-292-7740 You can also click the button below.